Since LinkedIn launched as a professional networking platform in 2003 it has accumulated nearly 100 million users in the United States alone. That’s equivalent to 1 out of every 3 people in the nation with an account. Currently LinkedIn is the only major business-centric social media platform. It’s basically Facebook in a three-piece suit. That’s right, your keg-stand photos from college aren’t welcome here. But feel free to list that Sorority you were president of. Reinforces leadership. For job seekers LinkedIn is a mobile and dynamic resume. Somewhere where they put their best face forward to network in hopes of someday landing that dream job. It’s where professionals go to discuss important trends in their industry. It’s where businesses go to look for new talent. And its where small to medium sized companies establish themselves as experts in their industry. 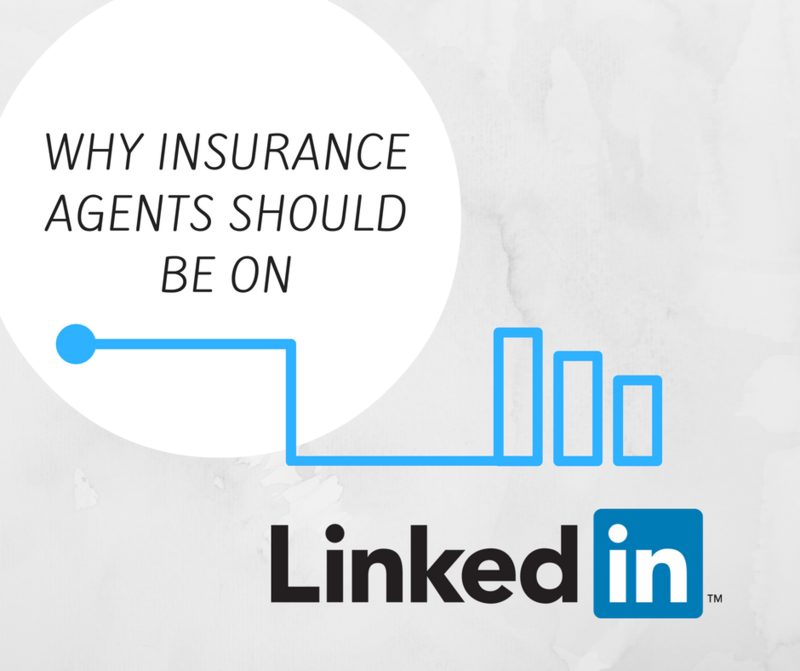 Employees, prospects, and clients all expect you to be listed on LinkedIn. Your profile will be accessible to the network of 100 million professionals in the United States alone. Many of these professionals are potential clients of yours. LinkedIn specializes in connecting B2B, B2C, C2B, and C2C. Moreover, discussions that take place on LinkedIn are almost always centered around business (the water-cooler discussions are reserved for Facebook). Meaning prospects are open to introductions for business relationships – so you want to make sure you’re in the discussion. LinkedIn is a great platform to share content that you have published as part of an inbound-marketing and networking strategy. In laymen’s terms there are lots of eyeballs there to look at content you post. Professionals in ‘business mode’ will browse their daily newsfeed for relevant articles and blog posts. If you post solid content then you can reach new prospects this way. LinkedIn allows businesses to share updates / content for free, but they will limit the amount of people that see it. For a broader reach they want you to pay for impressions or clicks. These are called Sponsored Updates. From our experience they aren’t cheap and their success varies. If you decide to pay for updates it should be part of a larger and comprehensive marketing strategy. When professionals visit your business LinkedIn profile they’ll be able to see the quality and frequency of content that you are sharing. This is an opportunity to establish your company as an expert in your industry and a source of valuable information. People trust experts and are more comfortable doing business with them. As a professional you can create your own group or join other’s that share your interests. This is a great opportunity to hear from industry experts and participate in relevant discussions. If you are looking for some guidance in getting started with LinkedIn groups check out this Forbes article. A couple suggestions within the insurance industry are Insurance Professionals and The Global Insurance Network. With so many professionals on LinkedIn it can be a great resource for filling job openings. There are several ways to go about this which are outlined in this article from LinkedIn. LinkedIn is free for both professionals and businesses to join. The majority of their services are also free to use. Their ‘premium’ subscription ($30 – $120 / month) offers advanced search and communication tools, but for most businesses they’re not adding much value. 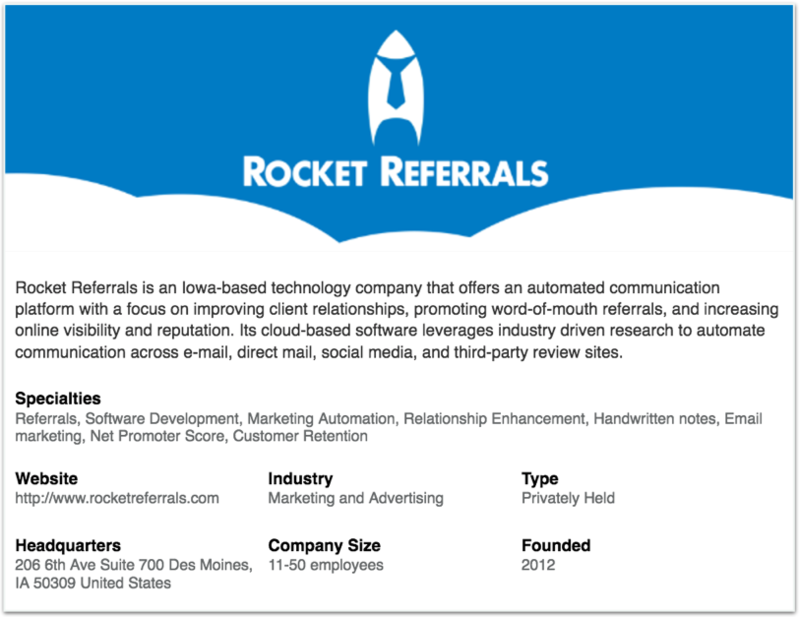 At Rocket Referrals we are fine with the regular ‘ol free plan. The advanced features are useful however if you are using LinkedIn to search for employees. If this is the case than you could switch to a premium account while you’re hiring and then go back to the free plan. 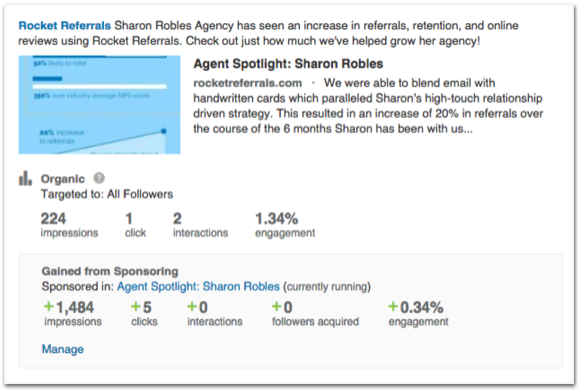 Sponsored Posts and LinkedIn Ads are other ways LinkedIn generates revenue. We have had minimal success using these options, but depending on your industry and marketing expertise you could find some real value here. LinkedIn requires you to have an established professional account and a company email address with a unique domain e.g. @rocketreferrals.com. Gmail, Yahoo, and especially AOL email addresses won’t cut it. If you don’t yet have a custom email domain than now is a good time to get one. Go to your LinkedIn homepage and move your cursor over ‘Interests’ then click on ‘Companies’. Click on ‘Create’ underneath ‘Create a Company Page’ to the right. Fill in your business details. Make sure to compete your profile to 100% and keep the information consistent across all online platforms.